Chaga is a wild mushroom that contains a brag-worthy list of healthy-supporting nutrients and essential vitamins. Containing a higher ORAC (Oxygen Radical Absorbance Capacity) value than even acai berries or green tea, chaga gives your body a burst of antioxidants and healthful benefits in one palatable dose to help propel you through each day. With chaga extract from Chaga Nautral, we’ve provided you with an easy way to get the most out of this powerful supplement. Brew as a soothing beverage, or mix into your favorite smoothies or shakes. 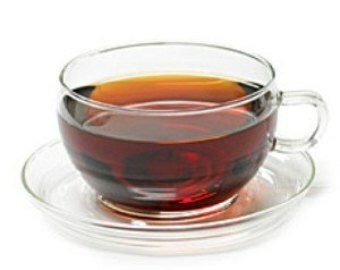 Information on chaga has been found in the earliest Chinese medicinal texts, proving the benefits of this fungus have been known for centuries. 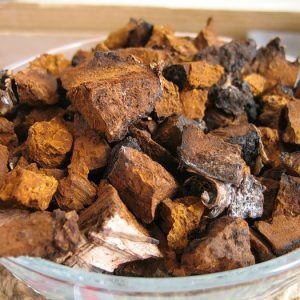 Chaga has also been popular since the 1700s in Siberia, where it has been honored as the “king of the mushrooms.” Grown on nearly all species of birch found in the cold climates of the Northern hemisphere, chaga has just begun to grow in popularity in the western world, permeating health circles and the modern medical world with an exciting speed. Chaga mushroom extract is carefully processed to withdraw the most essential nutrients from the fungus: melanin, polyphenols, and polysaccharides, all acting as a team to promote good health*. 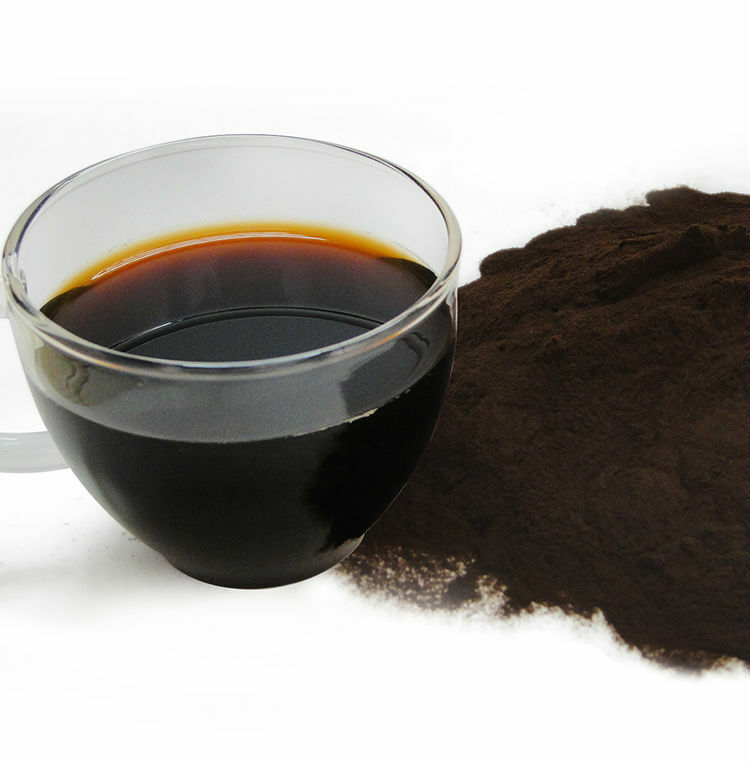 As you sip your morning chaga, you’ll feel the stress of daily life start to melt away as the adaptogenic mushroom goes to work, and your skin will start to improve with the high levels of melanin. You may find that your mind sharpens while your irritability lessens and your healthy digestion improves, replacing your daily coffee habit with the caffeine-free alternative of chaga. 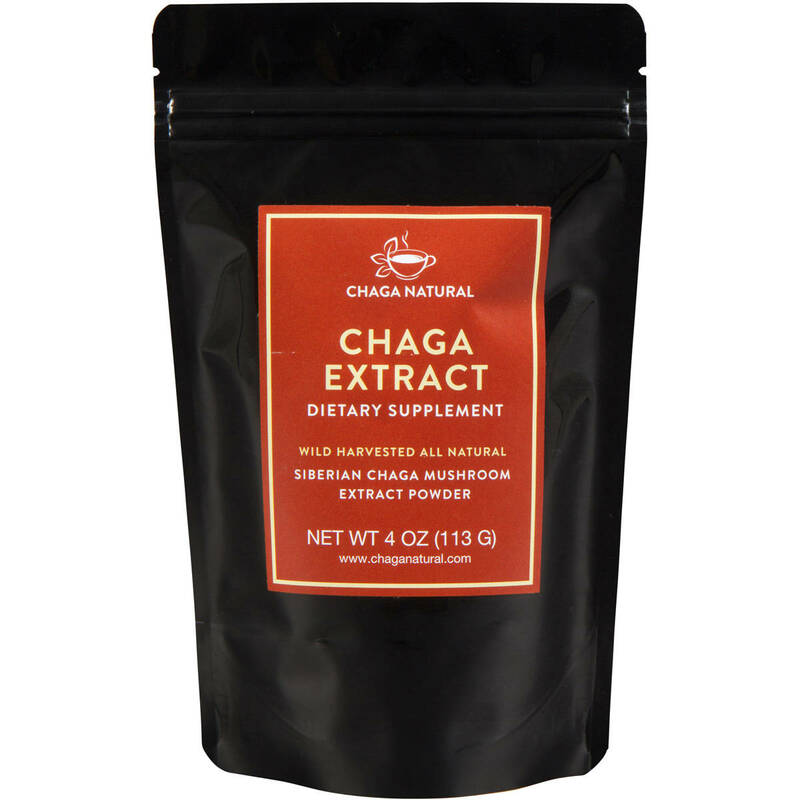 For standard supplementary use, we suggest you mix in about half a teaspoon of our chaga mushroom extract with water no hotter than 122ºF to avoid damaging the medicinal components. 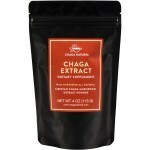 Chaga mushroom extract powder is also tasty in your favorite juice, smoothie, or shake. If you feel you need a more powerful daily supplement, we recommend upping the dosage gradually to 1.5 – 2 teaspoons per day. You can also split the daily dosage up into 2 or 3 doses to take throughout the day. 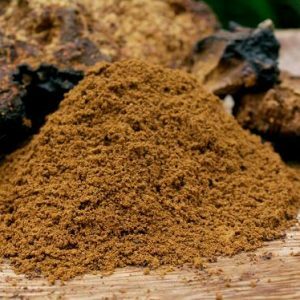 Chaga does have a strong herbal flavor, and some find it bitter. To make the taste more palatable, add honey, sugar, or stevia to your liking. 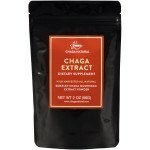 For best results, we also recommend you use chaga extract powder on a rotation of 28 days on, 5-7 days off. This allows your immune system to function and reset without any dietary supplement for at least one week per month. 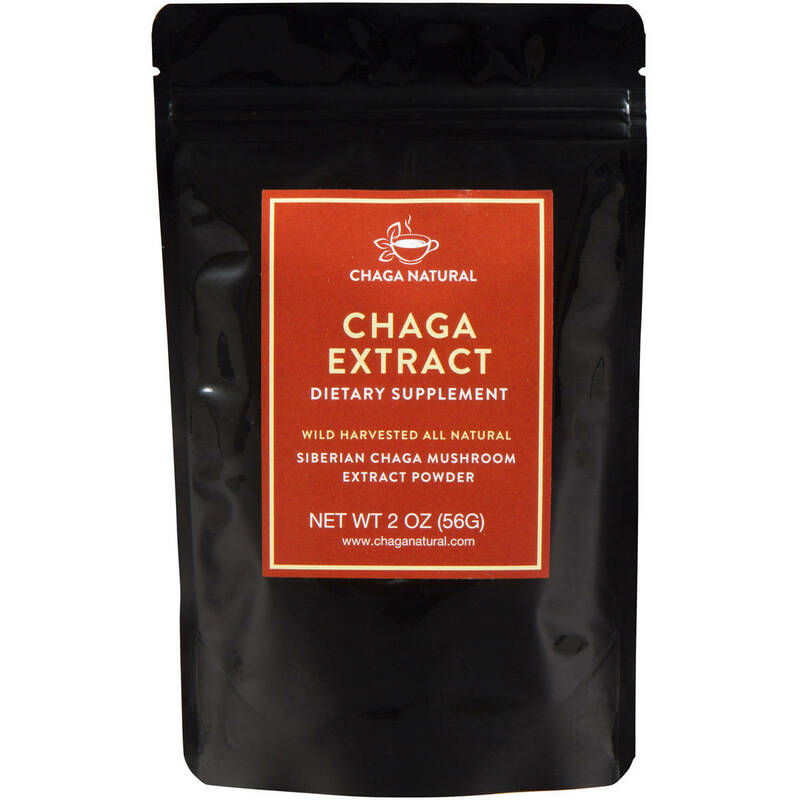 At Chaga Natural, we employ a low-pressure, hot water extraction method to ensure that our chaga extract powder contains the highest amount of mushroom nutrients possible. By using the water extraction method, our extraction rate is a highly potent 16%. You’ll receive a subsantial share of polyphenols and beta-glucans that are non-soluble in water, helping to enhance the antioxidant properties of the chaga. We also hand pick our chaga using the most sustainable practices to protect the trees that provide us with this amazing medicinal mushroom. Offering you expertise and dedication to your holistic health, we are a leading name in chaga products. 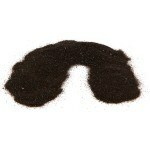 Give yourself the gift of chaga extract powder today, and watch your health bloom beyond your years. *These statements have not been evaluated by the FDA. This product does not intend to diagnose, treat, cure, or prevent any disease.